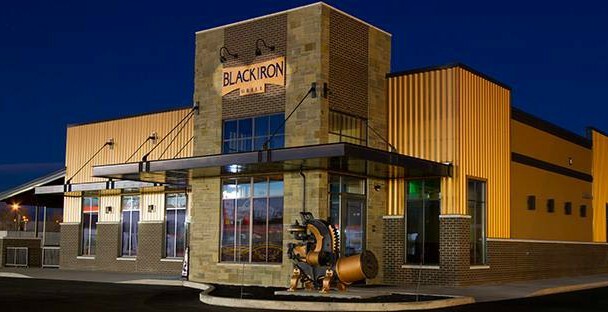 The Black Iron works closely with local ranchers and purveyors in order to give you the freshest and highest quality food and alcohol available. Some of the Montana producers we use are: Harding Beef in Miles City, Ryans Grocery in Jordan, Montana, Simpson Honey Farms, Wheat Montana, Red Lodge Ales, Yellowstone Cellars, Tongue River Winery and the Beaver Creek Brewery. Our rotisserie is 100% American made and is fired by apple wood. The Black Iron Grill has several interesting features that are easily noticeable. The beams located over the bar were reclaimed from the Old Milwaukee Roundhouse, which was destroyed in a fire. The 1910 steam powered iron bender located at the front of the Black Iron Grill was also reclaimed from the same historic railroad building.